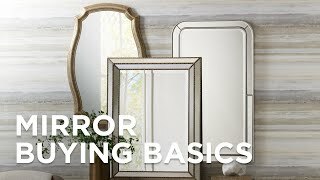 This bright white wall mirror will give any space a new and fresh look. The George wall mirror from Howard Elliott will look great in any space. The oval shape features a matte white finish. A classic and timeless style that will look great for years to come. 25" wide x 33" high x 1" deep. Hang weight is 15 lbs. Glass only section is 19" wide x 27" high. Oval wall mirror from Howard Elliott. A stunninglarge oval mirror mounted on two round wall brackets that allow it to tilt forward and backward for convenient viewing from any angle.